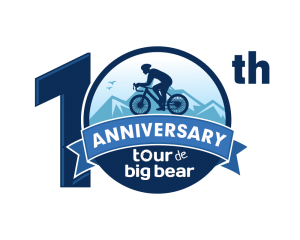 Join us on Saturday, August 3, 2019 for the Tenth Anniversary Edition of the Tour de Big Bear, Southern California’s favorite ride! The Tour de Big Bear features legendary aid stations, beautiful mountain scenery and spectacular summer weather. With 25, 50, 70, 106 and 109 mile courses, there’s a route for every cycling enthusiast! 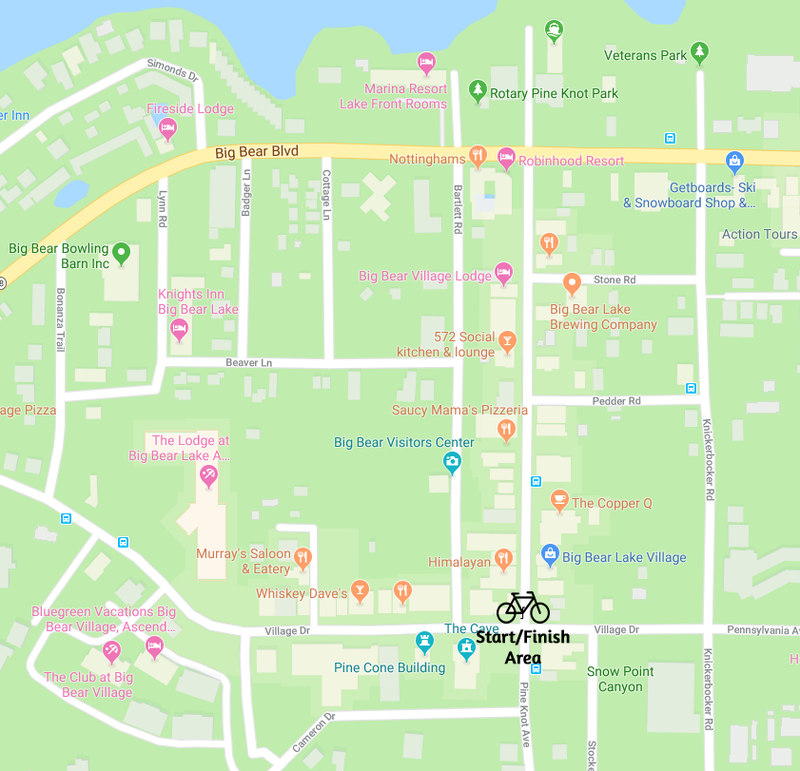 The Tour de Big Bear Start/Finish line and Big Bear Cycling Expo is located at the corner of Village Drive and Pine Knot Avenue. Rider check-in and late registration is located within the Expo area. See Schedule of Events for dates and times. 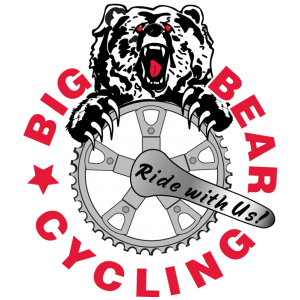 Free, on-site bike valet is available so that you can enjoy the Big Bear Cycling Expo before and after the Tour de Big Bear event. I understand that if I choose to participate using an E-bike or any other motor assisted vehicle I will be assuming all risk and burden in any maintenance or assistance required resulting in any difficulties or breakdowns of that vehicle. 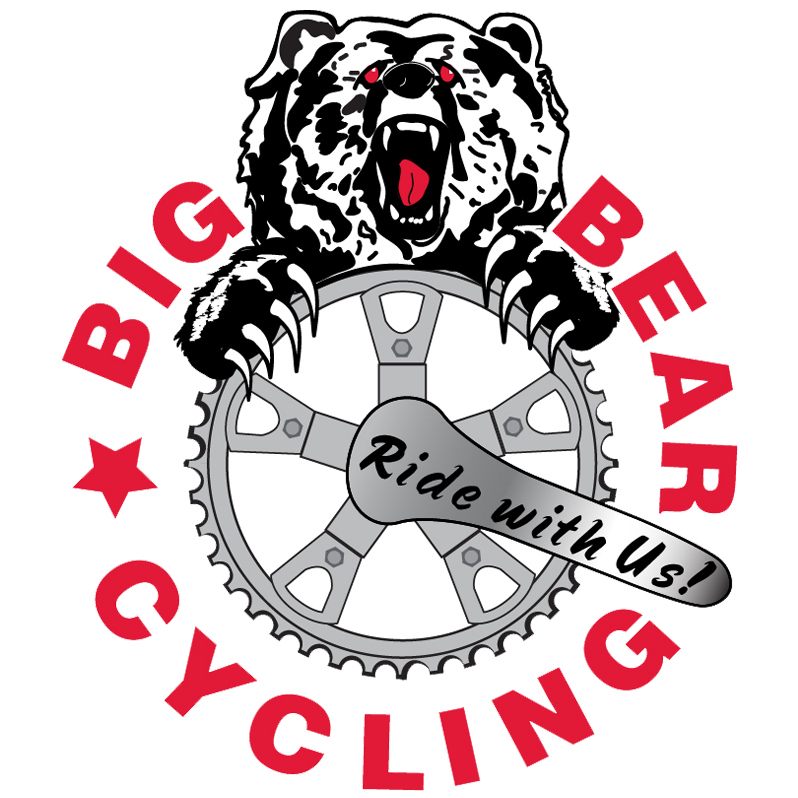 Tour de Big Bear will not be able to assist you with any problems you might have. E-bikes and any other motor assisted vehicle will be exempt from winning any Strava Segments and Awards. 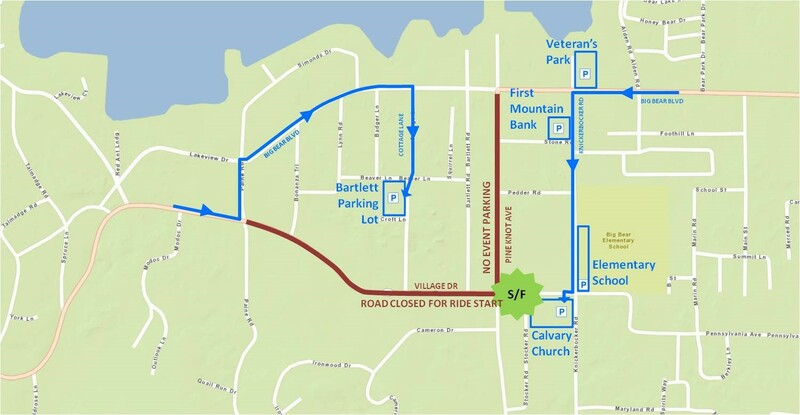 Parking will not be available on Village Drive or Pine Knot Avenue. There are three routes in and out of the Big Bear Valley. The shortest and quickest way for visitors coming from Los Angeles, Orange County, and other points west. Please note that this route can become very congested on weekends and holidays. Highway 38 is typically less congested on weekends and holidays than Highway 330/18. Highway 18 is the quickest way to/from Barstow, Las Vegas, and other high desert locations. This route has the least amount of mountain driving.